The new bridge will be 2-lane structure with 10-foot lanes, 2-foot shoulders with appropriate curve widening and 2’ railing offsets. 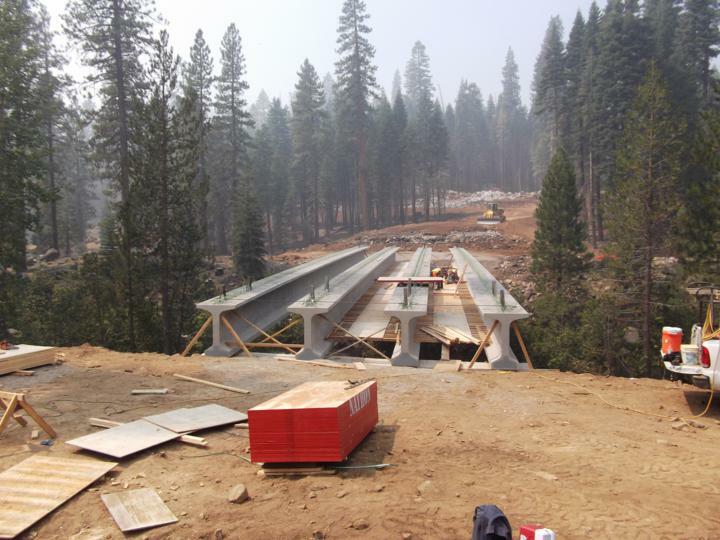 Bridge construction will consist of precast, pre-stressed concrete bulb-teen girders set on cast in-place concrete abutments founded on steel piles. 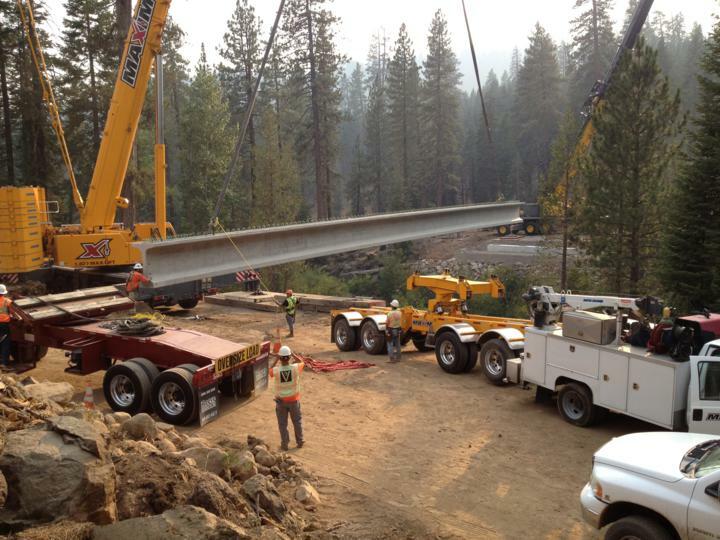 Upon the precast girders, a single span cast-in place concrete deck. will be constructed. The new bridge approach realignment shifts the roadway to the south of the existing alignment, with the new bridge about 600 feet south (downstream) of the existing bridge. 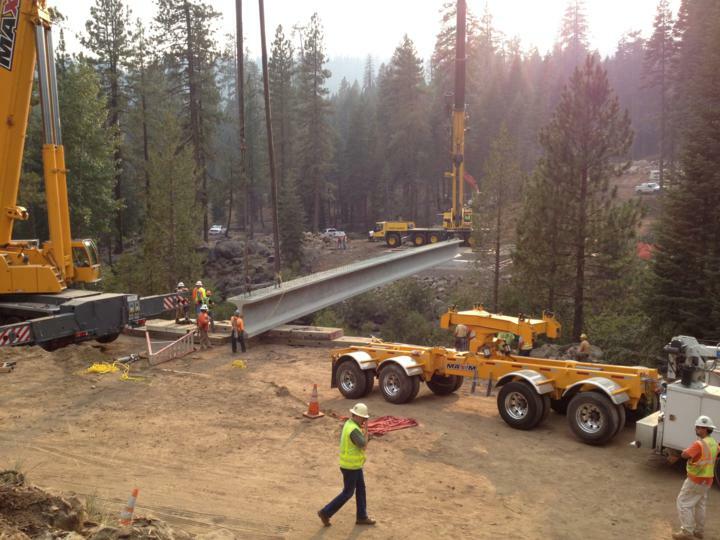 The location of the realignment was selected to follow the existing topography where the slopes are less steep, allowing the road to have a maximum grade of 10% and minimum design radius of 350 feet, consistent with AASHTO guidelines. 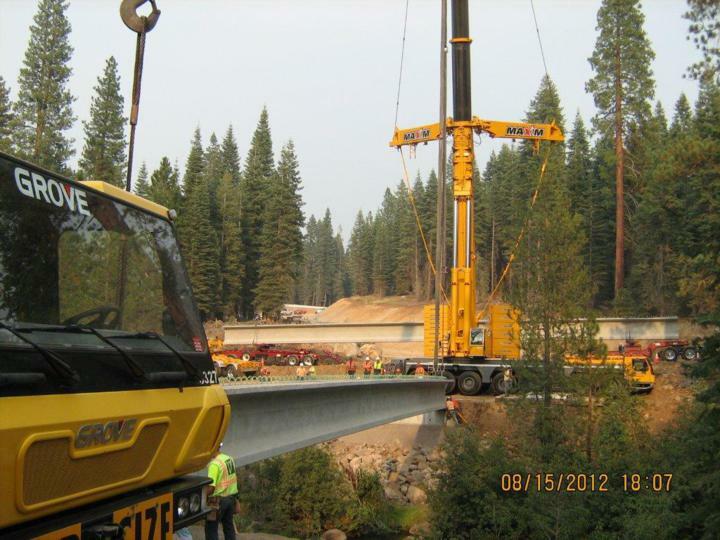 With the girder in the staging position, a 275 ton crane is hooked to the girder and the 500-ton crane is then connected to one end only. 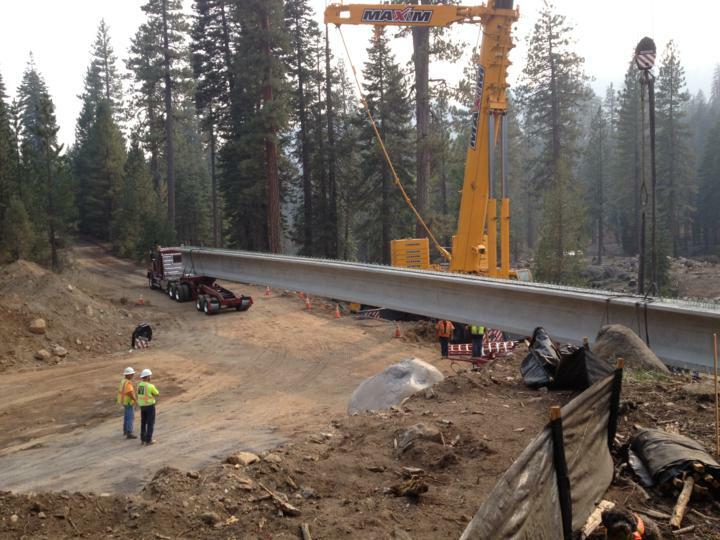 The two cranes lift the girder into its final position.